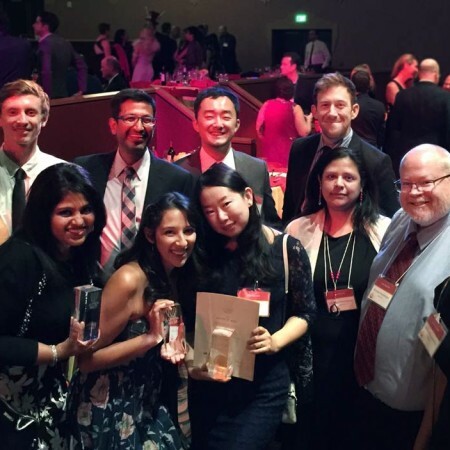 This Saturday was the annual Lumen West Awards put on by the Los Angeles and Orange County Sections of the Illuminated Engineering Society. This year’s theme was “Under the Big Top”, and guests were welcomed into The Wiltern by juggling mimes, zebra-like stilt walkers, carnival lights, and even vintage circus music! 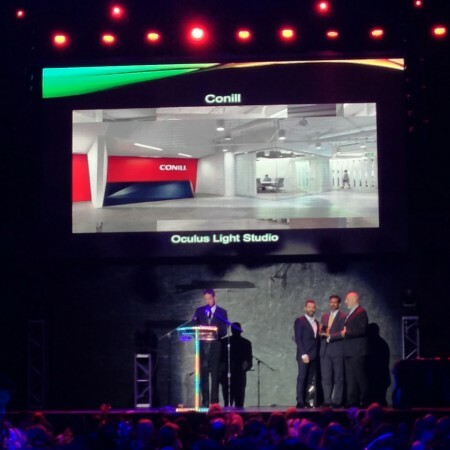 Oculus was one of the big winners of the night, taking home 3 Lumen West Awards of Merit for interior lighting design for Google Orange County and Blue Ribbon Sushi, and also an Energy and Environmental Design award for Google Orange County. We are honored to be recognized by our peers, and we would like to thank all our collaborators who have made this possible. This includes our clients who have trusted us with their projects, and our reps and manufacturers who have worked closely with us to get the drawings to reality. Officine Brera is a beautiful Italian Restaurant in Downtown Los Angeles designed by (fer) Studio inspired by the Brera Design District in Limano, Italy. We had the opportunity to design the lighting for the impressive space in which warm colors highlight wooden features and unique fixtures invite the eye. 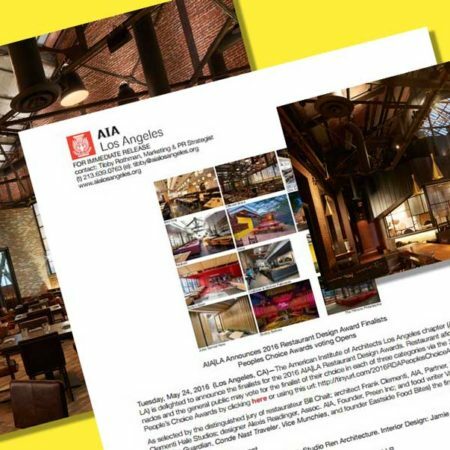 Now that it is open, the restaurant is garnering rave reviews right and left but has also been awarded a new honor: it is officially a 2016 AIA LA Restaurant Design Award Finalist! See the official announcement HERE and make sure the vote for them HERE. 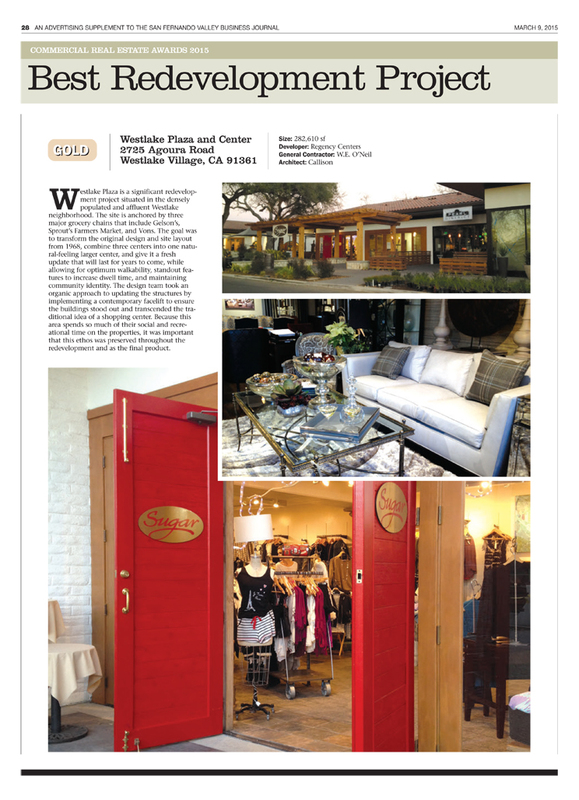 It was such a wonderful project to work on, and we were so happy for the opportunity to help bring this fantastic space to life. Congrats to Christopher Mercier at (fer)Studio, and to all who worked on the project. 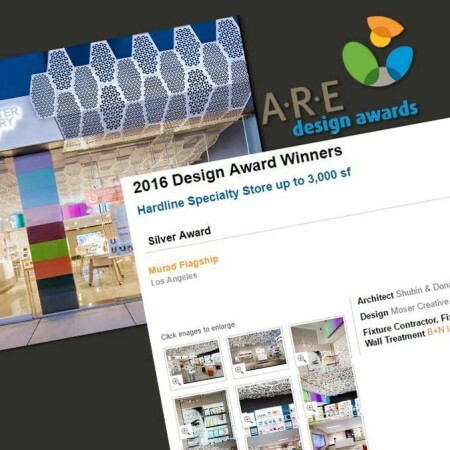 Our Project, the Murad Flagship Store won a Silver Award from the Association for Retail Environments in the category “Hardline Specialty Store up to 3,000 SF”. 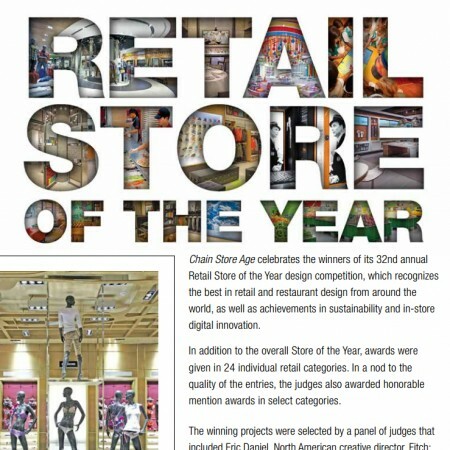 We are always happy to have our work recognized, and congrats to Architects Shubin and Donaldson who we worked with on this project. 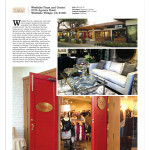 Congratulations to Callison, Regency, and W.E. 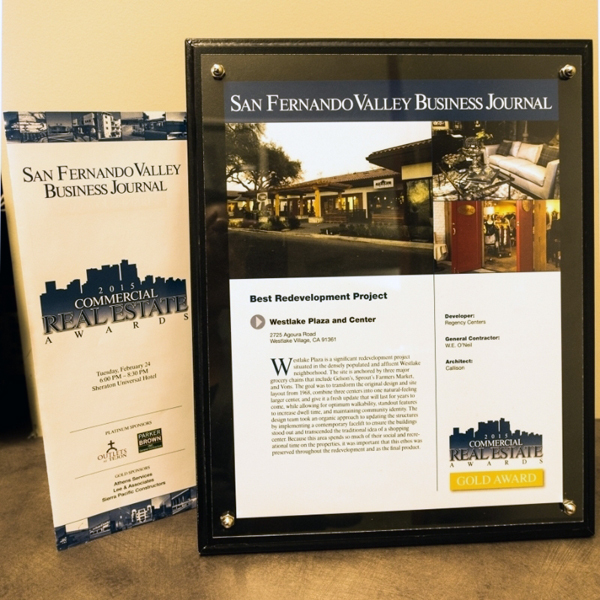 O’neil for winning the 2015 Best Redevelopment Award from the San Fernando Valley Business Journal! “The San Fernando Valley Business Journal annually recognizes the biggest, best and most notable commercial real estate projects in the San Fernando Valley marketplace. A jury selects winning projects from a pool of hospitality, industrial, healthcare, mixed-use, multi-family, office, and retail developments. We are currently working on Phase II– stay tuned for more updates on the Westlake Plaza and Center! 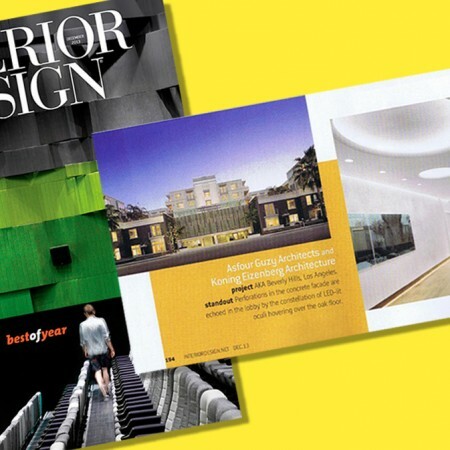 The Guidance Center, located in downtown Long Beach, won an AIA New York Interiors Award of Merit. Designed for a low budget, splashes of color in off the shelf luminaires add to the architectural character of the space. The jurors were “moved by the editing and creative restraint demonstrated in creating a meditative environment in a rehabbed 1950’s Salvation Army building”. Congratulations and thanks to the project team including design architect Lynch/Eeisinger/Design and executive architect Balian Architects. Oculus designer Sarah Wang has been selected as an Emerging Lighting Designer to attend the IALD Enlighten Americas Conference in Baltimore. 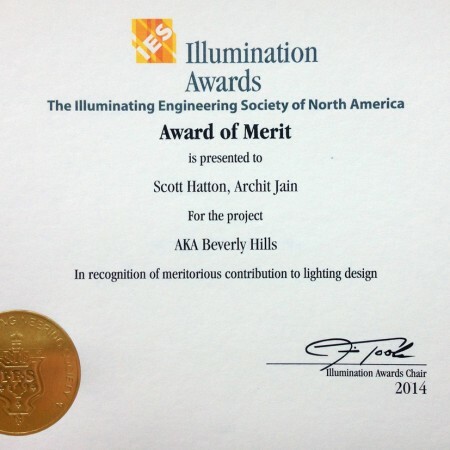 Sponsored by the LIRC, this scholarship allows growing lighting designers to gain access to continuing education by attending one of the IALD conferences. The scholarship includes a full conference pass and a stipend for travel and expenses. 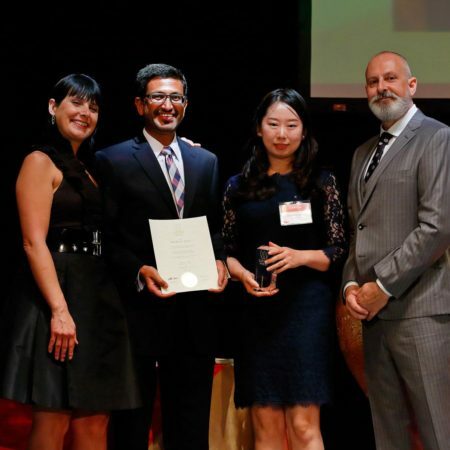 Congratulations Sarah, and thanks for the IALD and LIRC for providing these opportunities. 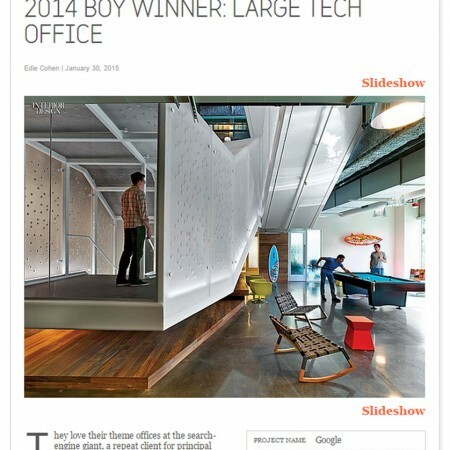 Congratulations to RAPT for winning Interior Design’s Best of Year Award for the Large Tech Office Category! It was a pleasure working with them on the tech-giant’s newest Orange County location, where each light fixture is individually controllable and also tracks its own usage data, which together create a considerable amount of information across the 91,000 sqft office. Connecting the different floors of the office is a a steel staircase wrapped in perforated acrylic, which catches the light of RGB LED’s running the entire length of the vertical centerpiece. The Google engineers themselves wrote a program based on the Arduino platform to change the LED’s colors as a real-time response to the amount of traffic along the staircase. 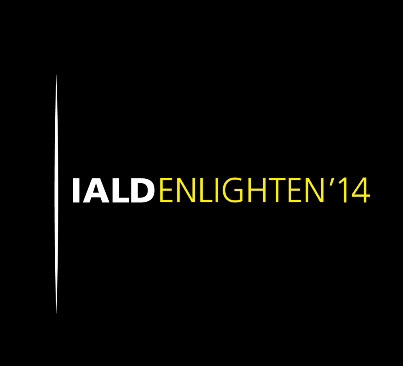 We’re proud to announce that our very own designer Jane You has won an IALD scholarship as an Emerging Lighting Design Professional to attend the IALD Enlighten Americas 2014 conference in San Diego this October. She will be sponsored by one of many lighting manufacturers who, as members of the Lighting Industry Resource Council, have pledged to “financially support designers within their first five years of on-the-job practice to attend [the conference]” as part of the Emerging Lighting Designers Initiative, which makes it possible for lighting design practices to send their junior staff to continuing education and professional training conferences. Congratulations to Jane, and many thanks to the LIRC for supporting our emerging designers! 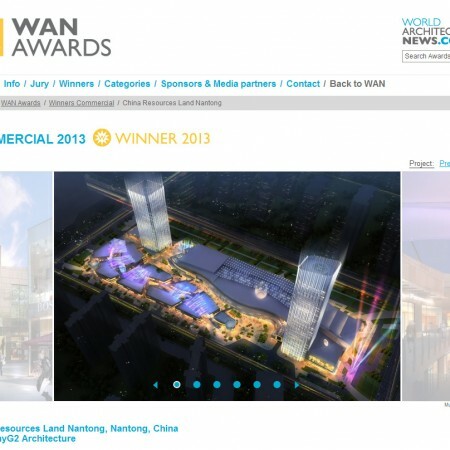 Congratulations to the design team for CRL Nantong’s World Architecture News Award in the Unbuilt Commercial category! We are proud to be partners with MulvannyG2 on this large-scale project. Oculus becomes one of the select few lighting designers on the West Coast to win a prestigious IALD award at the 31st annual International Lighting Design Awards. 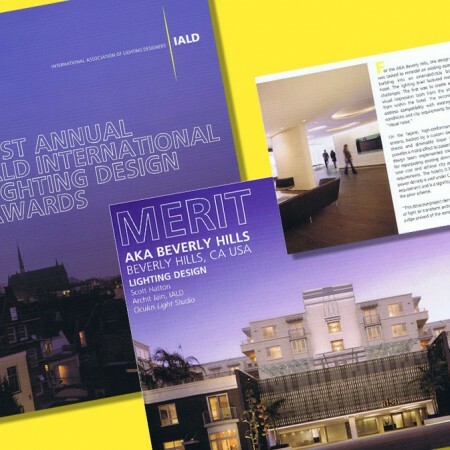 Out of over 200 entries from 10 countries, AKA Beverly Hills was selected as one of five Award of Merit winners for the the way “[it] demonstrates the power of light to transform architectural space,” according to one IALD judge. 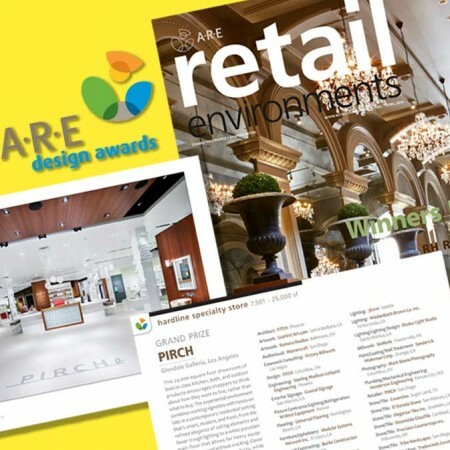 We are thrilled at the honor, and hope to continue pushing the envelope in design and technology on our projects. Many thanks to our collaborators, Koning Eizenberg Architecture, Asfour Guzy Architects and Pamela Burton & Company Landscape Lighting. And of course, the AKA team, lead by Larry Korman. 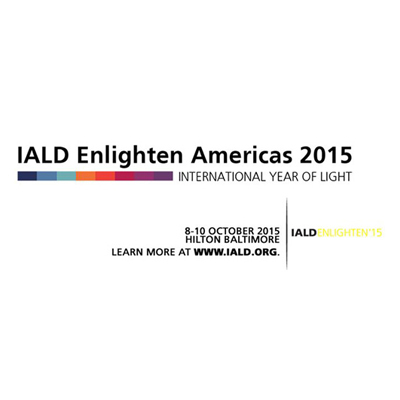 Read the IALD Press Release (pdf download).